Hi all. I am seeking some advice from the Autel Evo pilots. Before you try to answer the question, here's a "brief" info on me and my intentions. I am an adult and have my fair share of RC experiences. I started with bashing RC cars and buggies. After wrecking 5 or 6 of those, I switched to planes. My style of flying is pretty relaxed, although I can handle a Yak-55 (55" wingspan for those who don't know) and pull off all kinds of maneuvers including hovering in place. I prefer the pinch-method because it's more precise and that's what works best for me. My first encounter with aerial photography was with a Banana Hobby Sky Surfer, a $39 ebay 1080p keychain camera, duct tape, and a lot of guessing where to point the camera. I loved the footage, but it lacked any FPV. Fast forward to today, I have a wife and new baby, and a house that doesn't totally work for us. We are saving up for a better house, and the deal I made with my wife is "new house, then new drone." I came to terms with that, and so the research began. I thought I was totally sold on the Mavic 2 Zoom. So then I started looking at iOS display platforms (I have a Google Pixel 2 phone). I went to great lengths to start investing in proper display devices. And then the Evo came back into focus. It's not the first time I looked at the Evo, and it wasn't always an easy sell for me. In the comparisons, the biggest con for me was how twitchy the video looked, like the gimbal was struggling to handle yaw inputs smoothly. Another concern was "digital zoom". In yester-years, digital zoom was down-right awful. There's no need to go into how much better it is today (I understand the history and evolution of how the image zoom is processed). I also understand 5-7 mp is fine for most photos since I'm not making murals or billboards lol. I love taking RAW pictures and learning to post-edit. I understand the Evo does DNG. I need to learn more about working with this format, and what the dual JPG and DNG capabilities are on this drone. What does/should a drone sound like? Wirrrr... EEEEEEEEEE!!!!! I want a drone that isn't annoying to fly. Decibles matter not only to me, but for people who just don't understand drones (drone police). I would love to promote positive and safe droning. If it's noisy like the Mavic Air, I don't think I'd be able to convince the drone police as easily. So, DJI..... (deeeee... jaaay... eyeeee....). When something seems too good to be true, it usually is. Customer Service does not exist with DJI, which is entertaining because Autel has conquered this. Happy customers are return customers, or maybe they are Apple fanatics and claim they're willing to empty their wallet for the latest iphone (but that's another topic lol). There are an awful lot of "smart" modes that kinda do the flying for you. I like a challenge, and if I'm not in control of my aircraft, I will just get bored sooner. I also don't need NFZ as I'd like to showcase my natural ability to be safe and conscious of FAA rules and regulations (being informed also aids against drone police). Okay, so what am I asking? Before I decide to buy a drone, I want to learn from the Evo community about the good, bad, and ugly. I view all "good" and "bad" experiences as "good data". What is considered bad by one user might just be inexperience or lack of understanding why something happened. From that, I will develop my own verdict of the Evo and still be unsure of myself lol. But, I took off my DJI-blinders and found myself here. - Antenna angle for optimum performance (this is still a little confusing). - FPV goggles that work well (I don't need goggles, but I'd like to convince my wife, daughter, and the drone police that it's not about "spying on people", rather taking unique photography). Welcome from Ontario Canada. Many experienced EVO pilots here so hopefully someone will be along to answer your questions. First off. Congrats on your son/daughter. All drones make an annoying buzzing sound, but the Evo is one of the quieter ones. I also fly DJI and the Evo. To me they are completely different experiences. As photography and editing goes, I record videos and edit them in Vegas Pro, but most of the times I have no idea what I'm doing. I just go with what looks best for me. I haven't seen a thread about either in here, but I'm a newcomer and haven't seen all the threads. Always keep the drone within visual line of sight. I can't stress how important this is. You should point the antenas upwards when having the Evo nearby. As you travel further, point the antennas downwards. Always have the antennas parallel to each other. For FPV googles. Any cheap $10 of Amazon or eBay will work perfectly with the Evo. Just remember to have a Visual Observer when you fly with these. I have seen time and time again how people crash, because your FOV is limited to 95 degrees and miss that branch or electric line in the way. Always keep the drone within visual line of sight. I can't stress how important this is. You should point the antennas upwards when having the Evo nearby. As you travel further, point the antennas downwards. Always have the antennas parallel to each other. I couldn't agree more. Most flights would be within visual sight. Any deviation from that wouldn't sit well with the general public. I'm sure that's legal-talk for "don't be stupid and endanger other people with your negligence." I looked into the pros/cons of starting out as a hobby pilot or studying for the FAA Part 107. Could I sell footage from the Evo? Is the image quality on par with "industry-standard"? I have and haven't had a complaint as of yet. Actually I have been commented on how good they look. Edit: Some have said that if you are into professional photography, then go for the standard (DJI), because you will get turned down if you show up with anything else. Like I said, I own a DJI product, but after getting my Evo, I prefer to use my Evo. That being said, my clients know I have a DJI drone, so perhaps that influences on not getting denied. Edit: Some have said that if you are into professional photography, then go for the standard (DJI), because you will get turned down if you show up with anything else. To that, I'd recommend carrying around a photo album (or a tablet with the post-edited work handy). If you're good enough to make great photos with "less than ideal" hardware, you're advertising more of your skills. I do mostly construction surveys, so making the photos look good isn't really necessary. The thing with DJI's is that the center of the camera is zoomed like a fish bowl, on the EVO is parallel. I don't know the technical mumbo jumbos, so I don't know if you understand what I mean. What I can do is take the same photo so you can see the difference. Yes, the parabolic effect, or "fish-eye". That's not a detail I considered before, so thanks for mentioning that! In the comparisons, the biggest con for me was how twitchy the video looked, like the gimbal was struggling to handle yaw inputs smoothly. You seem to know what you're doing but just in case… Don't judge a drone camera at first viewing of a Youtube video - especially not a 4k 60fps video which puts operating systems, browsers, internet connections, memory cards and YT under maximum stress. There are many variables that could be contributing to a perceived "twitchy" yaw. Most will be eliminated if your rig is capable of receiving without dropped frames a 4k60 video - and also capable of playing it back. The video uploader can also eliminate problems by using the right microSD card (although arguably, none of the currently available cards is ideal for capturing 4k60 video at 100mb/sec bitrate) and by regularly formatting it before shooting. Also, a perfectly good video out of the camera can be wrecked by re-saving it multiple times before uploading it. And, FWIW, video always plays more smoothly in Safari on my 5k iMac than it does in Chrome. Sometimes, a video which appears twitchy in Chrome will play more smoothly on the second or subsequent reloads. Of course, given the codec war currently raging, Safari won't play video at any definition higher than 1080p, which is a pain. And although some people like to upload 60fps video, there is really no point as it puts the whole chain under stress while 30fps plays better and looks just fine. Higher frame rates are useful for post work but not for Youtube. Finally, you may need to make allowances for operator inexperience. 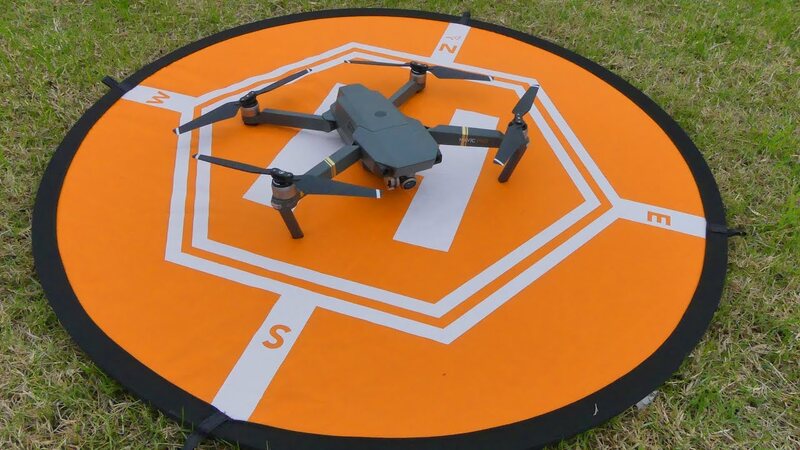 The only way to get smooth video yaws out of a consumer drone is to turn the camera very slowly, otherwise the capture and encoding process can't keep up with the rapidly changing pixels. Even pro videographers use the 7-second rule: when panning, an object on one side of the screen should take at least 7 seconds to reach the other side of the frame. Most of us probably pan too quickly. As the light was nice this afternoon, I sent my Evo up for a quick 4k/30fps yaw and the footage was pretty smooth, even though I'm a novice. I uploaded a couple of yaw clips to Youtube and they played smoothly in Safari at 1080p. But they were twitchy in Chrome at both 4k and 1080p. I blame everyone - but mostly Chrome. One last thing: there seems to be a bug in the EVO when filming in PAL format which produces twitchy video. Autel are looking into it; but it doesn't affect NTSC. This was definitely in the back of my mind in some of these comparison reviews that favored DJI. I personally like 24fps. Will I record in 60fps? Probably, it should give me a lot to work with, but I also don't have the latest and greatest video cards to handle the post-production, so I can definitely get away with a more laptop-friendly file size. Thanks for the insight! Many review channels seem to be compromised by sponsorship in one form or another, albeit Captain Drone manages to remain objective. And no drone ticks all the boxes so it's important to decide what matters most to you when you make comparisons. For me, video quality is paramount so I studied footage for many months; and Youtube isn't the way to do that: you need to hunt for downloads of the raw footage straight from the camera so that you can eliminate most of the variables. My only other real criterion was that I wanted a drone with an integral monitor since I don't own a smart phone. At first, I was besotted with the Yuneec Typhoon H with its retracting legs, 360-degree gimbal, amazing RC and, latterly, its 1" sensor. But I was never totally happy with its video quality. While I was waiting for Yuneec to improve that via a firmware update, the EVO appeared. Initially, I wasn't blown away by the EVO's video quality either but within a couple of months they unleashed a firmware update which transformed it. So I had to get one, even though Autel products weren't available in the UK. Now I just hope that by the time I need a repair, Autel will have set up shop here, otherwise that will be a painful process. But to me, that inconvenience is a price worth paying for the EVO's outstanding video quality. Is there a way to do gradual zoom, or does it "snap" to the next whole number? Snap. It's a digital zoom and not a optical one. My recommendation is film it normally and do the zoom in post processing. I can tell you from experience that tech support and service from Autel Robotics is the best. When I say "the best," I mean the best of any company I've ever dealt with for anything. I got a response in 15/20 minutes, almost immediate follow up, and timely service for minor damage I had from a low altitude crash. I had my shipment out same day, after receiving a shipping label from Autel Robotics. Cost for repair was super reasonable, and turnaround was fairly quick. Even just a simple question to tech support got me a 15/20 minute response. They-are-amazing. Nobody compares in terms of support, especially DJI, which in my experience, you wait at least a full day for an initial response, and repair takes a while, although not nearly as long as with Yuneec. Since you are guaranteed to crash, I would urge anyone to consider support seriously when deciding what drone to invest in. Having to wait a month to get a drone back during the flying season is rough. I learned the hard way to have a backup drone on hand. I got a Parrot Anafi which I love. As for flying, you couldn't pay me to fly DJI drones. I started out with a PP4 and was really turned off by the incessant warnings, alerts, firmware updates, restrictions, and just generally glitchy nature of the aircraft. I can't rave enough about the flying experience with the EVO. It's actually pleasurable, not nerve wracking, especially since they added the "precision" flying mode. I've detected no cons with the EVO although I understand the Mavic 2 offers 10 bits per channel chroma sub sampling, which is still not enough to make me invest in DJI again. It's been an amazing start to the weekend. My amazing wife gave me the green light to buy the Evo, coincidentally on April 1st LOL. I hadn't considered maybe it was an April Fools prank until after I got my Amazon confirmation , but she was sincere. Today was my first flight. I am extremely impressed with how quiet this is and can't wait to learn more about this thing's capabilities. Right off the bat, I found it hilarious how much space is required for 4k 60fps (I'll be experimenting with the different frame rates). While I'm sure this will look amazing, my TV is only good for 1080p and my laptop is maybe 2.7k. I doubt I'll realistically upgrade my TV or laptop to really appreciate the footage, but I understand this becomes an entirely different topic when talking about post-editing. I learned the value of needing a landing pad. My grass is still pretty long and muddy. I'm glad the lens is clean, but there's a little bit of mud splatter from the landings. So, that's coming in the mail early next week along with some spare props. I also discovered almost immediately how inadequate my cellphone (Pixel 2) is as a viewing device outdoors in the sun. My transition lenses in my glasses didn't help my cause either. So, after a little bit of impulsive and lucky research, I discovered that the DJI Crystal Sky (CS) can be used with the Evo, just after downloading the Evo APK app file to the micro SD card, uploading it to the CS and running it from the App Explorer. I ended up going with the 7.85-inch CS (the "lesser" 1000 nit version), paired with a Lifthor mount. I do plan on uploading pics of the setup sometime after everything arrives and I get acclimated. The props can kick up a lot of dust on dry land. I use a foldable landing pad to keep the filter clean. Welllll.... Crystal Sky arrived, battery stuck out of the back way too much, couldn't fit the lifthor. Returned everything and will resort to a cardboard sunblock taped behind my phone lol.